If you’re looking a fun place to sit down and enjoy a beer with friends, look no further than Three Stacks and a Rock Brewing. 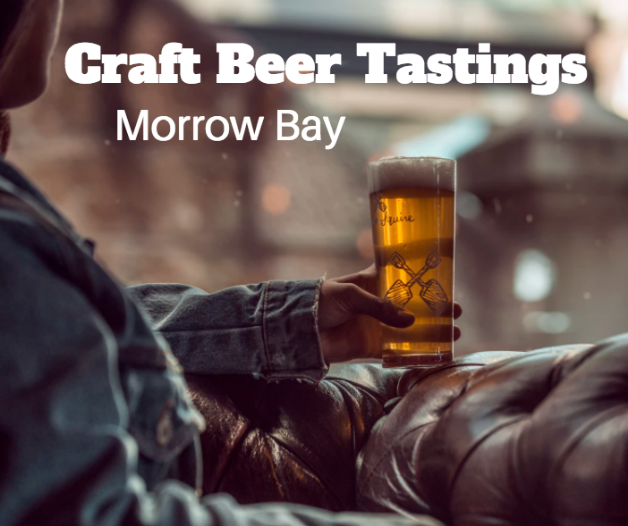 Located in North Morro Bay, this location is the only Nano Brewery in Morro Bay. A nano-brewery is a brewery that only produces batches in three barrels or smaller. This location is a brewpub and tasting room that serves up house-made beers to customers as well as guest ciders and wines. Thursday through Sunday you can also enjoy pub bites that will compliment your beer perfectly. Stop by today. With 37 beers on tap and a full menu, The Libertine Pub is a great place to enjoy lunch or dinner with friends and family. In addition to the beers on draft, they offer tap wine, bottled beer, and bottled wine as well. Don’t forget to stop by on Taco Tuesdays where you can enjoy tacos for $2.50 and $3.50 as well as Sour Sundays where you can enjoy $2 off libertine beers and $3 mimosas all day. Breakfast menu served on Sundays from 10 am to 12 pm. When you’re in the mood to be drinking locally crafted beer, Central Coast Brewing is the place to be. This local brewery specializes in crafting small-batch beers featuring local flavor. Currently, on the draft list, you’ll find 13 beers such as the Central Coast Brewing El Hefe, a refreshing brew with a dry and tart edge with very little hop bitterness. Stop by the brewery and see what they have today on their rotating tap list.